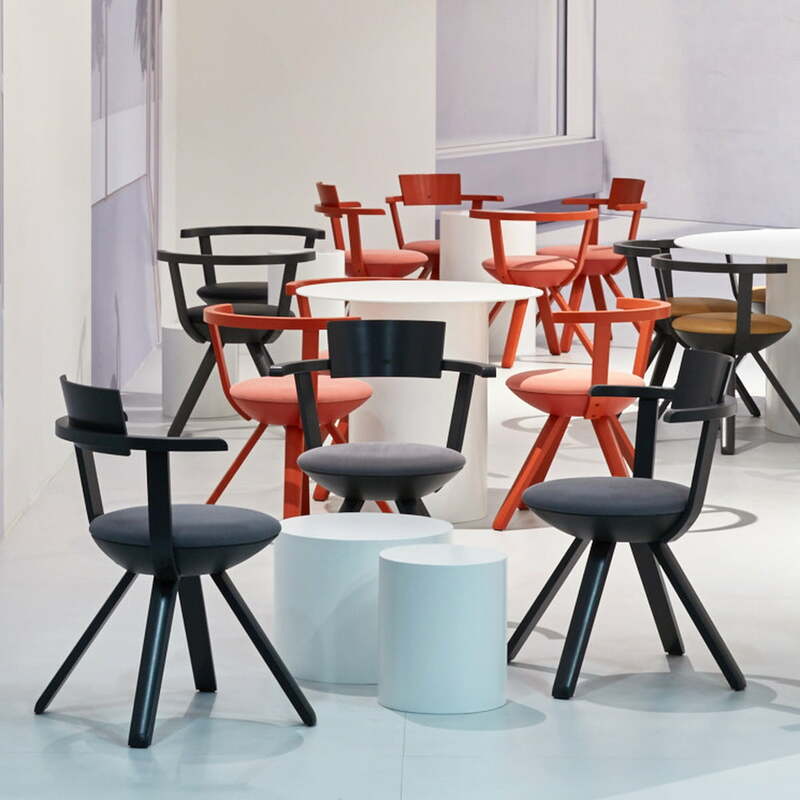 Rival is the result of the first collaboration between Artek and German designer Konstantin Grcic. 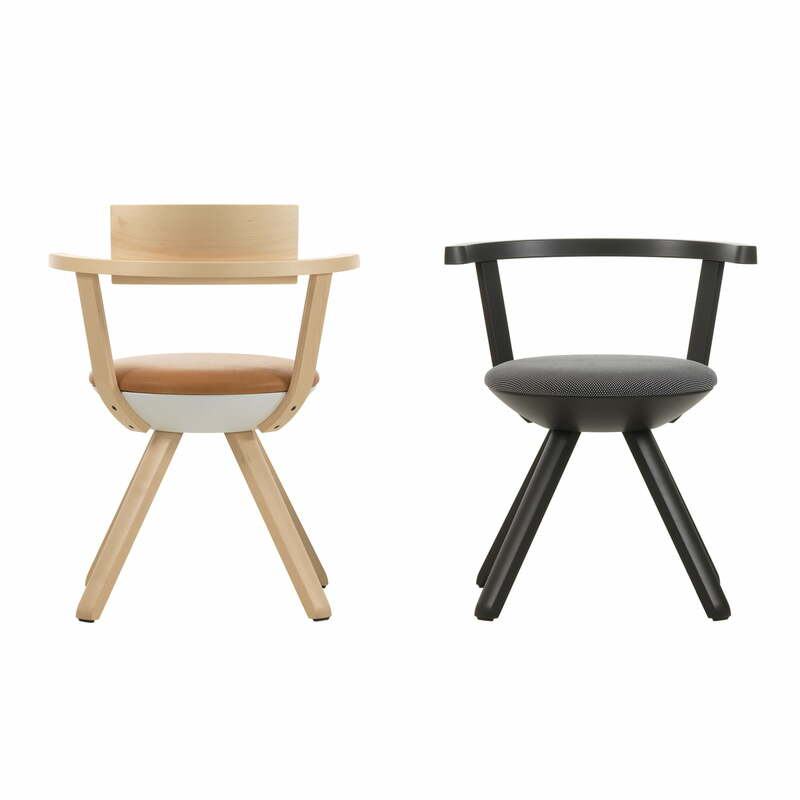 A reinterpretation of the classic wooden chair for the home or office. 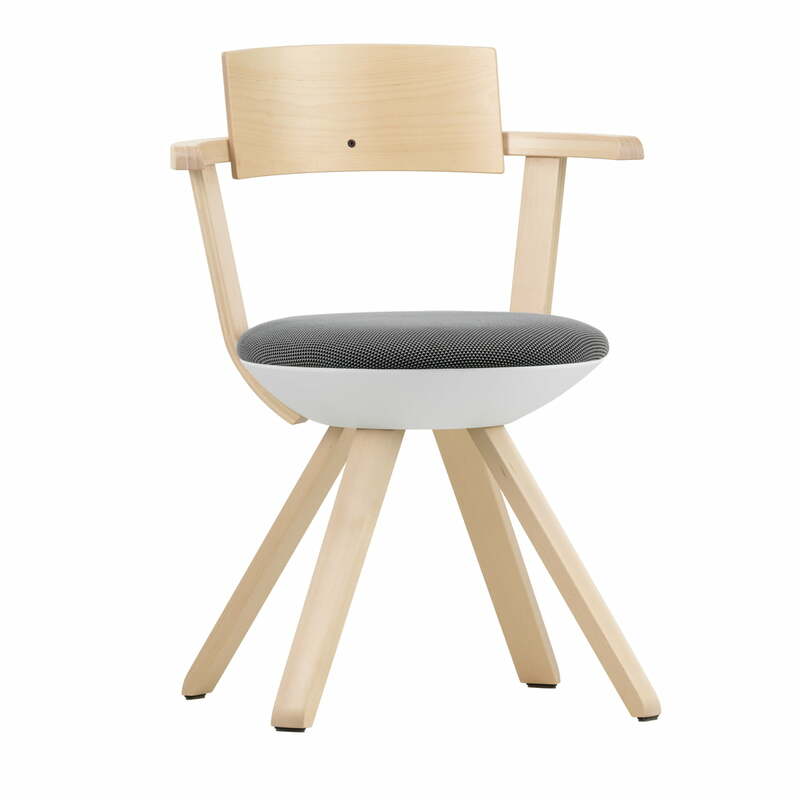 Rival is a universal chair for home, public spaces or the office. 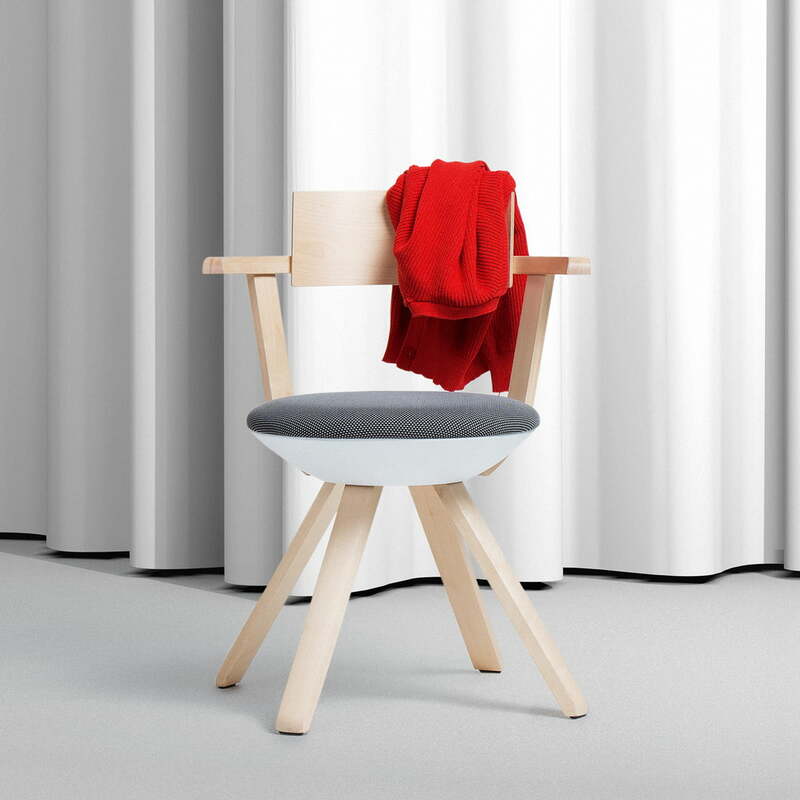 Anchored in the Artek design tradition, Rival represents a reinterpretation of the traditional wooden chair. 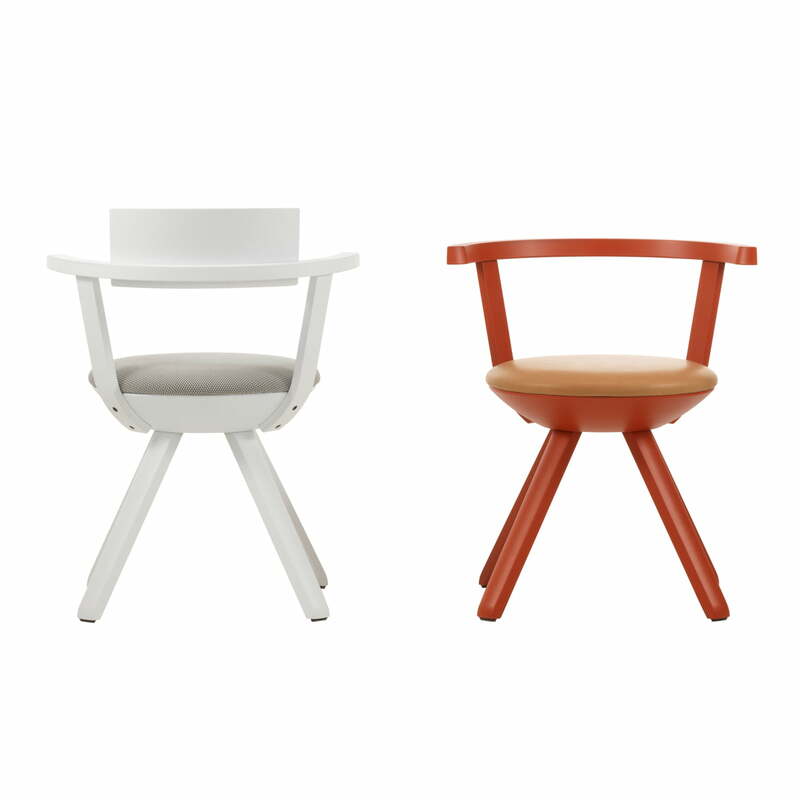 The designer makes use of Alvar Aalto’s favourite material – Aalto was co-founder and leading figure of Artek design. 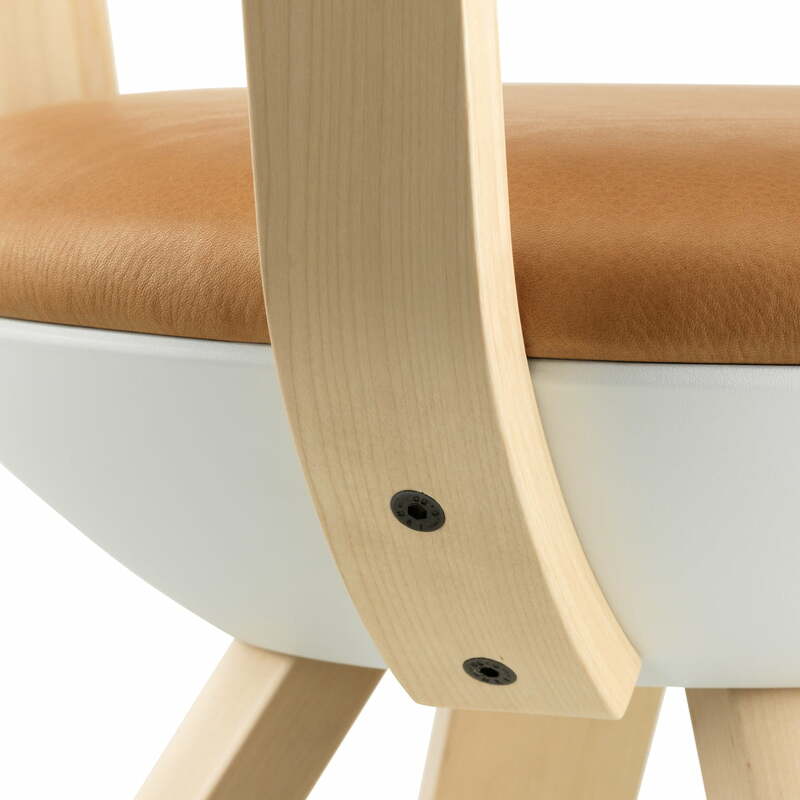 Each leg on the Rival chair is made of one piece of birch wood, while the armrests and backrests are composed of multiple birch slats. 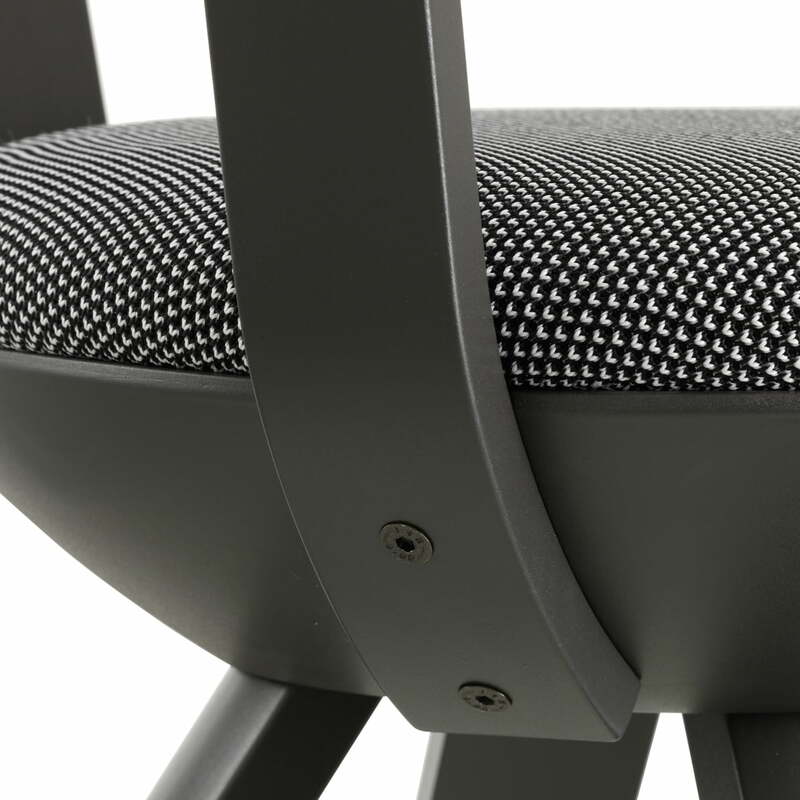 The high backrest of the KG002 provides rest for your back and guides the movements of the person sitting. 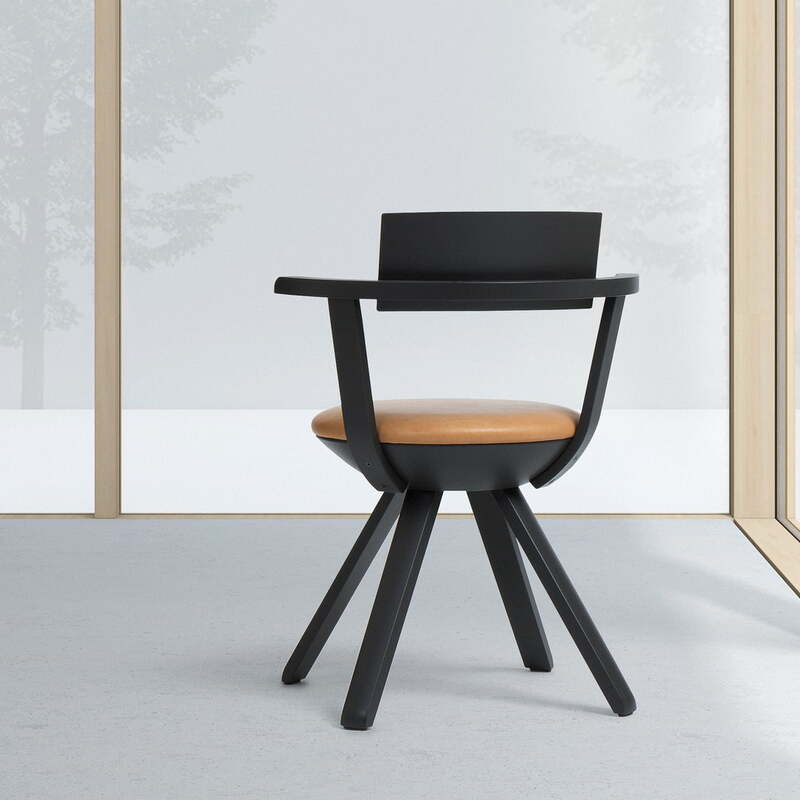 Thanks to the rotatable seat, Rival is particularly mobile and is outstanding when used as a modern version of an office chair. The Rival Chair is available with legs and backrest made from birch wood with transparent or coloured varnish, as well as with a plastic seat made from polypropylene in different colours. You can choose a cushion with a leather or 3D knit cover. In addition to the KG002 with high backrest, the Rival KG001 edition with a low backrest is also available.